Stockport Homes Group is a limited company that manages 11,500 homes on behalf of Stockport Metropolitan Borough Council. 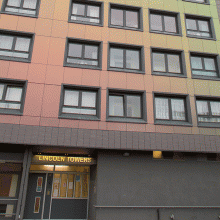 Stockport Homes Group has an environmentally sustainable approach to maintaining and upgrading homes. 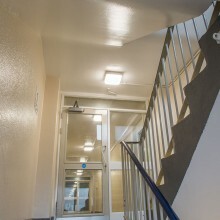 As part of their initiative for on-going planned maintenance and upgrades, Steon Lighting were asked to design a lighting scheme for the communal areas, stairwells, corridors and ancillary areas in four of their residential blocks: Lincoln Tower, Ratcliffe Tower, Mottram Tower and Millbrook Tower. 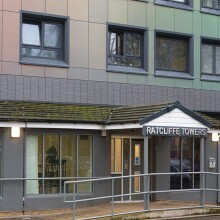 Their current lighting scheme consisted of various 2D and T8 fluorescent luminaires. This is now considered dated technology as it has been superseded by more efficient light sources. As an environmentally responsible organisation that takes a whole life-cycle approach to procurement, rather than focusing on immediate savings, LED luminaires were selected. Our Steon® branded Hawk LED, Caparo LED, Challenger 66 LED and Orbit LED were each selected for application throughout the communal areas, corridors, stairwells and the ancillary rooms within all four of the towers. 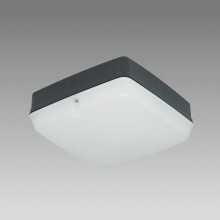 The Hawk LED is a high performance amenity luminaire. The luminaire is corrosion resistant and is suitable both interior and exterior applications because it has an IP65 rating. 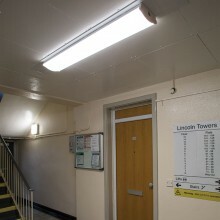 It was used in the entrances, stairwells, corridors and some of the ancillary rooms in both standard and emergency. The luminaire has a low LED power consumption (16W) yet high lumen output giving it a superior performance to a 2D compact fluorescent lamp. 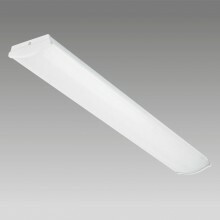 The Challenger 66 LED is a linear non-corrosive luminaire that features energy efficient Osram LEDs. It boasts IP66 (dust tight & strong water jet proof) and IK10 ratings (20 joule shock resistance). 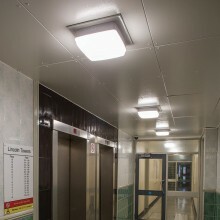 The luminaire was supplied in both standard and emergency throughout the ancillary rooms. 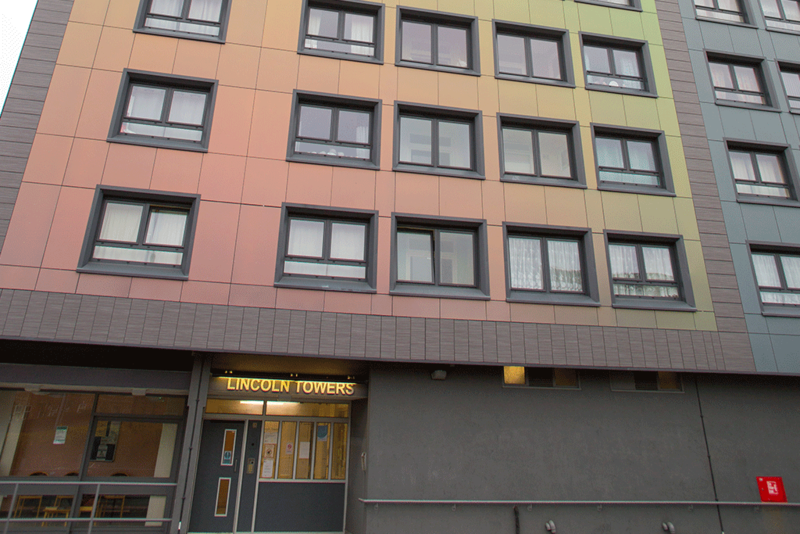 The linear Caparo LED and the surface mount Orbit LED were selected for the communal lounge areas of the towers. 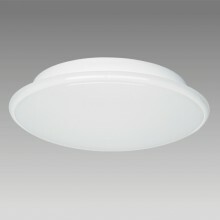 Both luminaires feature energy efficient Osram LEDs enclosed within a high output cloud lens. 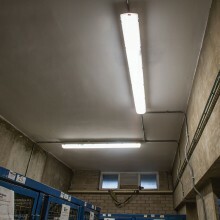 A range of Manual Intelligent Control (MIC®) functions were supplied on many of the luminaires. 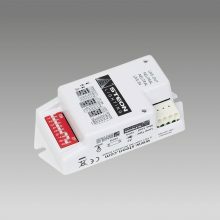 This prevents unnecessary energy consumption and reduces maintenance costs by ensuring that only the right level of light appears at the right place only when required. Our MIC 1 function was supplied in the ancillary rooms, working on an off-on-off basis. Both MIC 1 and MIC 2 were supplied in the stairwells and corridors. MIC 2 offers all the benefits of MIC 1 but with a dim-on-dim basis. This made it ideal for Stockport Homes Group to reduce energy consumption whilst providing some level of illumination for extra safety. 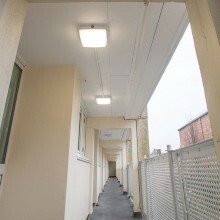 Daylight sensing was also added to some of the luminaires that were exposed to daylight. These luminaires dynamically dimmed dependent upon fluctuating levels of natural light whilst maintaining a consistent lux level. 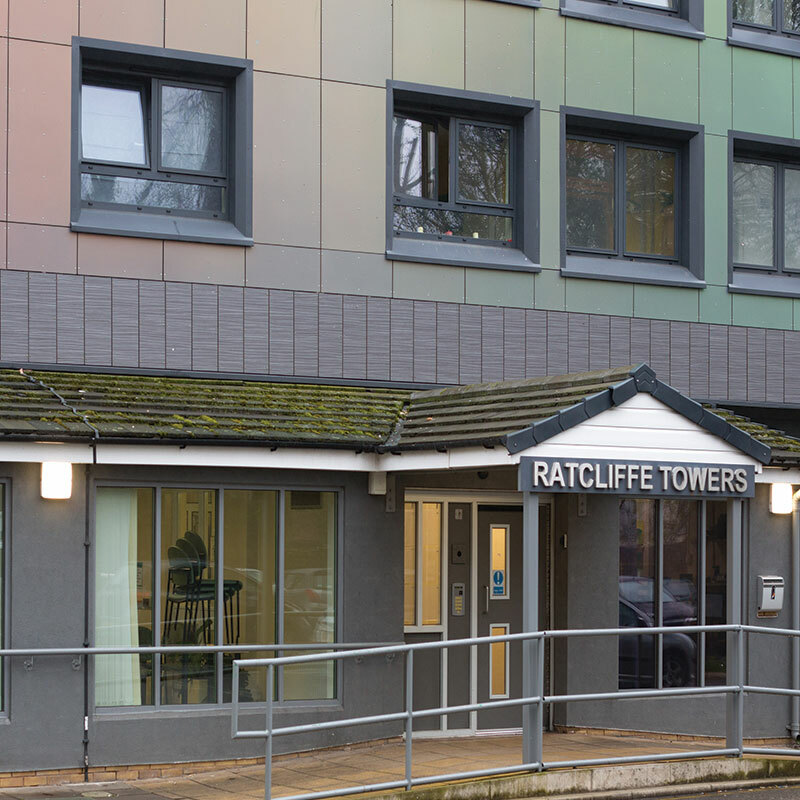 By replacing fluorescent luminaires across the four towers with the latest LED products and intelligent lighting controls, Stockport Homes Group has minimised its environmental impact and lowered its energy costs. It has also resulted in an increased lifetime of the luminaires, in excess of 50,000 hours (L70), reducing maintenance and the associated costs.